Mark Chandlee Taylor is a certified teacher and practitioner of Body-Mind Centering ® . He has taught in the School for Body-Mind Centering in Massachusetts and Germany, and served as the school’s U.S. Program Director and Program Coordinator. He was artistic director and choreographer for Dance Alloy in Pittsburgh and Mark Taylor & Friends in New York, and served as a member of the Princeton University dance faculty. Mark teaches movement and embodiment practices in the U.S., Europe, Asia, and Central and South America, and maintains a private practice in Pittsburgh. Ray Eliot Schwartz is a movement artist and activist committed to developing an experiential understanding of the body. He attended high school at the North Carolina School of the Arts, received his BFA from Virginia Commonwealth University and his MFA from University of Texas-Austin. He is the Academic Coordinator of the Dance Program of the University of the Americas-Puebla in México, founder of Performática: Foro Internacional de Danza Contemporánea y Artes del Movimiento, a research associate at the Center for Mind Body Movement, and a consultant and teaching artist for ArcDanz International Dance Workshop. Ray co-founded four contemporary dance projects in the southern U.S.: Sheep Army, The Zen Monkey Project, Steve’s House Dance Collective and THEM. He has been fortunate to share his love of movement practice and somatic education with diverse populations in the U.S., Turkey, South East Asia, South America, and Mexico and has served on the faculty of the American Dance Festival, Bates Dance Festival, MELT, the ZMP Summer Dance Intensive, Verano Chilango, Camp_iN, the Colorado College Summer Dance Festival, SFADI, and the Mexican television series showcasing national and international talent in the Mexican Contemporary Dance Scene - Opera Prima@elcolectivo, among others. He is a published scholar who writes in Spanish and English about the interface of somatic movement education and contemporary dance practice. His somatic studies include certifications in Body-Mind Centering® and the Feldenkrais Method® . Additional studies include Zero-Balancing®, Gross Anatomy (Dissection), Cranio-Sacral Therapy, and Traditional Thai Massage. Lou Sturm (RSME) is a German dancer, choreographer, multi-media artist and Somatic Movement Educator, who has lived and worked in Mexico since 2006 and is currently studying in the MA program in Transdisciplinarity at the arts school ZHdK in Zürich. As the founder and director of the dance company Tempesdanza, she has presented her choreography, both dance-theatre and site-specific pieces, and performances in Germany, France, the Netherlands, Belgium, India and Mexico. Her video-dances “welke & blume” (2005) and “Zebra Me Red” (2006) have been screened at Short- Cut Festivals in Hamburg, Stockholm, Glasgow, San Francisco and Xalapa (Mex.). Lou is a Rolf-Method therapist and member of the Rolf Guild for Structural Integration and Swiss Association for Rolfing & Structural Integration. She is also a yoga teacher and contact improviser who continues to study with Julyen Hamilton, Frey Faust, Nita Little, Nancy Stark-Smith, David Zambrano, and Richard Freeman. She co-teaches with Mark Taylor and the Center for BodyMindMovement in the training programs at Instituto Nacional de Bellas Artes in Mexico City, as well as in São Paulo and Recife, Brazil, and Pittsburgh, PA.
Debra Clydesdale (RSME/T) integrates bodywork, movement, and touch into her Somatic Experiencing practice, specializing in early life trauma resolution, head injuries, medical trauma and syndromal trauma patterns. She has a Masters degree in Acupuncture and Oriental Medicine with a board specialization as a Diplomate in Acupuncture Orthopedics, with additional certifications in Hellerwork and Acupuncture Detoxification and Addiction (NADA). With a background as a dancer and professional vocalist, Debra trained as an electrical engineer at Penn State University and worked for corporations such as Eastman Kodak, IBM and GTE before moving into the field of trauma resolution, health and healing. 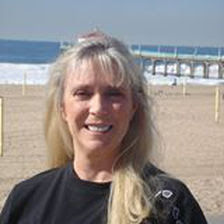 She currently serves as Somatic Experiencing Basics provider for the Southwestern US region; as an Advanced Assistant, Advanced Consult and Advanced Group Case Consult Provider for the SE US Program; and coordinates the Los Angeles Somatic Experiencing Training. She is enrolled in an MA in Psychology MFT/PhD Program and is interested in bringing trauma resolution and resiliency to the local community through groups and integrating the work with movement and acupuncture. She maintains a private practice in West Los Angeles and Manhattan Beach California.